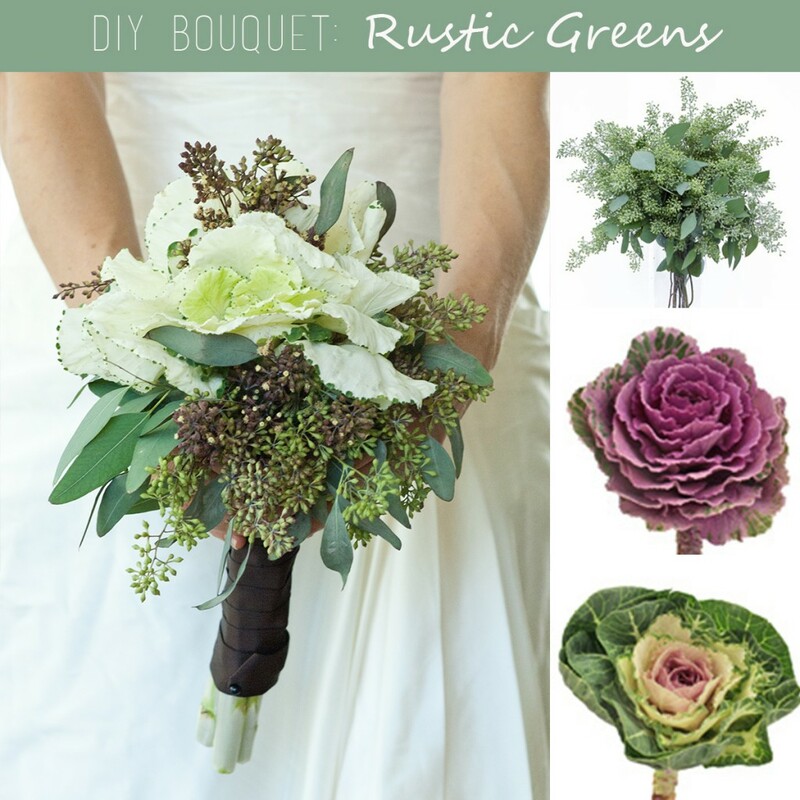 Let the textures of the earth inspire your DIY wedding bouquet and carry natural green and white down the aisle. If you are planning a wedding full of handmade details and eco-friendly elements that won’t distract from who you are, this rustic, organic bouquet will remind you and your guests of their own true nature…created of pure, authentic love! This bouquet was created by me (a regular DIY-er and surely not a professional florist!) using 3 stems of white kale and 1 bunch of seeded eucalyptus.